La Digue is the third largest inhabited island of the Seychelles, lying east of Praslin and west of Felicite Island. It has a population of about 2,000 people, who mostly live in the west coast villages of La Passe (linked by ferry to Praslin andMahé) and La Réunion. There is no airport on La Digue; to get there from a different country, one has to fly to Victoria, take the ferry to Praslin and then take another ferry to La Digue. It has an area of 10 km², which makes it relatively easy to travel around on a bicycle. 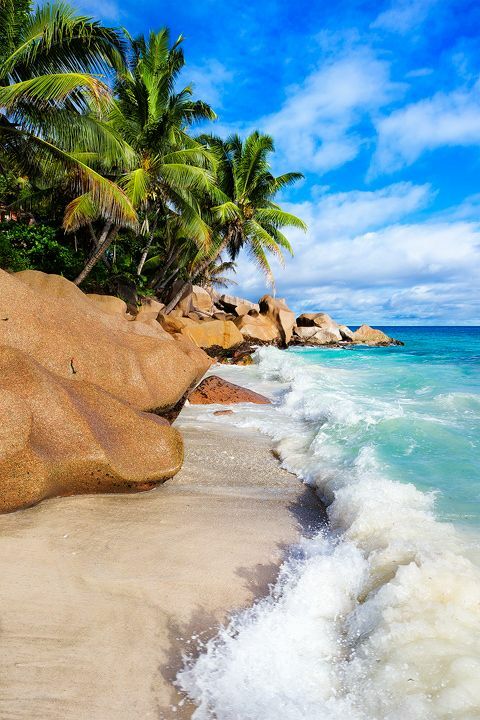 La Digue is named after a ship in the fleet of French explorer Marc-Joseph Marion du Fresne, who visited the Seychelles in 1768.